Bert the circus mouse is missing! The members of Sir Sidney’s Circus look everywhere, but tiny Bert has been carried off by a runaway balloon. 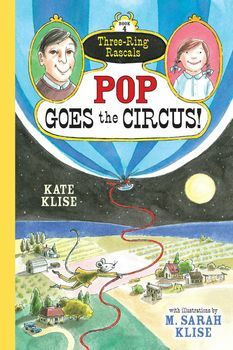 Meanwhile, far away, Flora Endora Eliza LaBuena LaPasta’s parents have no time for her as they prepare for a new baby, so Flora decides to mail herself to her friends at the circus. A popped balloon and a mixed-up shipment bring Bert and Flora together. In the worst of times, a best friendship is born. Can a mouse and a runaway girl make it in a world of bad drivers, angry mobs, and greedy robbers? Two runaway rascals hit the road—and the sky—in the fourth installment of this highly praised, popular series.